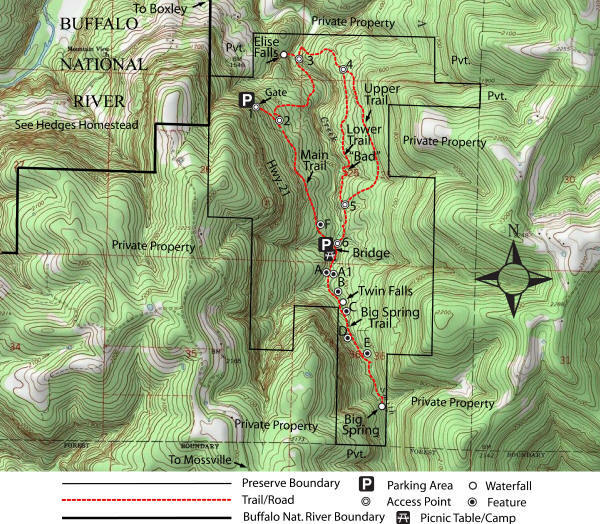 The Nature Conservancy's Smith Creek Preserve is 1,226 acres of beautiful Ozark forest bisected by Smith Creek, a tributary to the Buffalo National River. The Preserve was dedicated in 2005. The Preserve lies above Sherfield Cave, where the largest colony of Indiana bats in the state hibernates each winter. The surrounding forest is used by the bats for foraging and roosting and is also home to gray bats, turkeys, black bears and elk. acre Ozark National Forest and the 95,000 acre Buffalo National River Wilderness, allowing wide ranging animals to move from place to place. 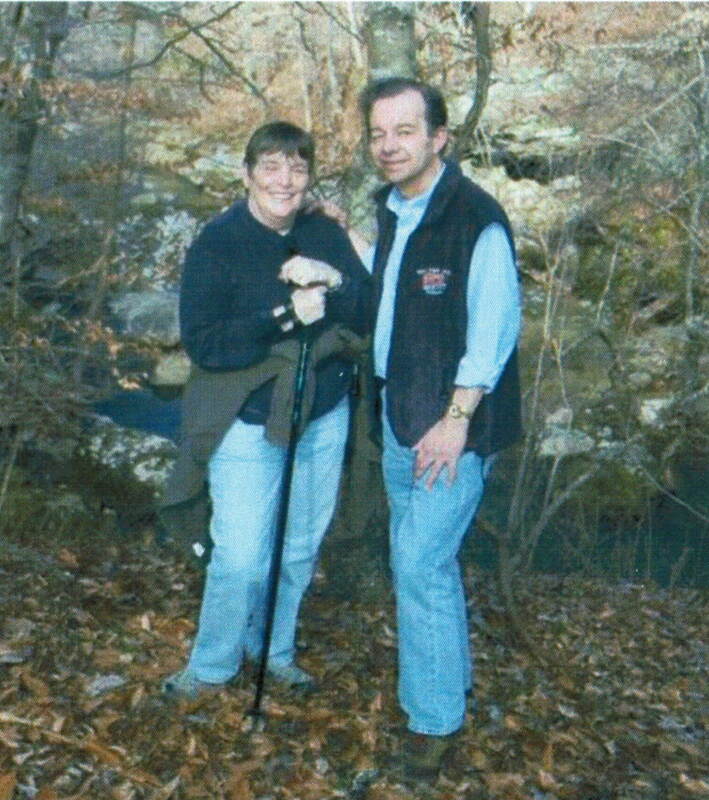 The land was transferred by Marty and Elise Roenigk in 2004 and in 2005 The Nature Conservancy established Smith Creek Preserve. Elise Falls. Upper & Lower Trails are on the right. husband, Marty, donated the land to the Preserve. Both trails follow old roads most of the way! You follow an old road for about 0.5 miles. where there are some rock cairns. This will come out at a second Parking Area. At this point head south across bridge. This sink hole is located next to trail. another "A" Sink Hole next to Smith Creek. in it as well at the one by the trail. "Wet" crossing along trail at a side drainage. "B" Side trail to "Boulders" on Smith Creek. Boulders on east side of creek. Tree log along the trail. More grapevines along the trail.